One more post inspired by Jillian Michael’s book Unlimited. Clearly I really like this book. I’m not reading it super fast because I’ll read a chapter and then take a couple of week to reflect on it. Right now I’m reading the chapter about communication. 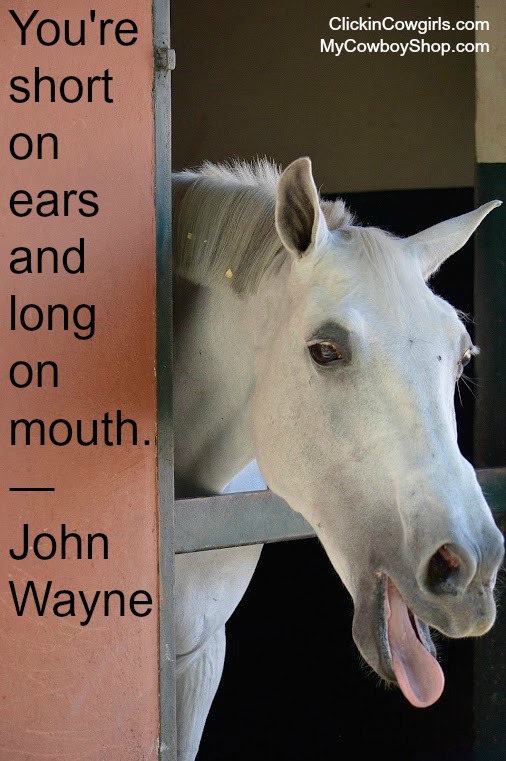 Everyone who rides horses knows how important communication is, as communication is the foundation of all training. Jillian talks about empathic listening. Basically when someone is talking, try to think about how they feel, and why they’re doing what they do. 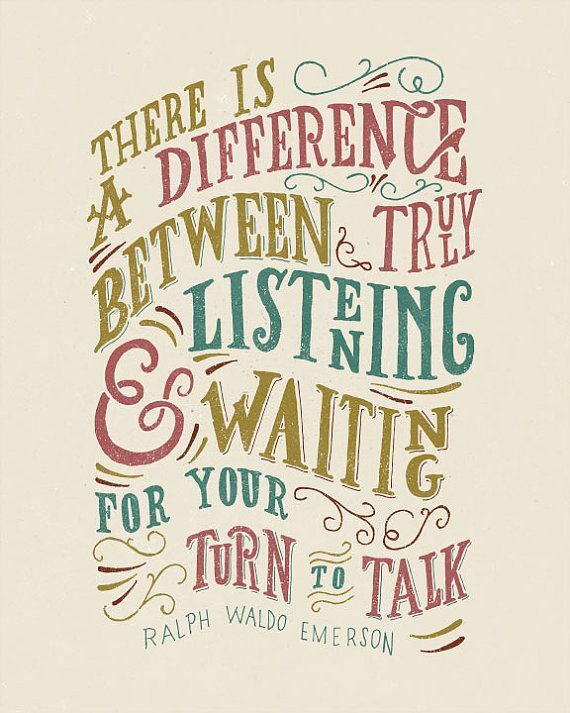 According to Jillian empathic listening is “the kind of listening that puts you in the other person’s head and in their frame of reference, so you truly get what they’re feeling and understand what they’re saying”. Obviously this becomes even more difficult when you’re trying to communicate with an animal that doesn’t speak the same language, and has an entirely different world view that that of a person. This idea about empathic listening reminded me of an essay I read in college called Understanding Other People’s Stories by Roger C. Schank. The take away from the essay is that when people listen to someone tell a story, they only think about how it relates to a different experience about themselves. And so when you stop talking, they will respond by telling you their story. For example, I tell someone that I went to several different schools growing up and I had a hard time making friends because of it, and they might respond by telling me a story about how they’ve had the same best friend since preschool. My story reminded them of their memory, and instead of discussing my story further, they shared their story instead. Now that I’ve pointed this out listen for it in your conversations and it will drive you crazy. Ha! Of course I relate everything I learn to horses, and how it affects my relationship with Savy. I try, no strain, everyday to hear Savy and to listen to what she’s telling me. I’ll be honest, most of the time I either miss the message completely or what happens most often, I can tell she’s trying to tell me something but I don’t know what it is. This is where having an awesome trainer comes into play. She can help me translate Savy’s feedback and help problem solve. Because training is really just problem solving right? Savy used to switch leads behind in the left lead canter. Nicole realized she wasn’t doing it to be bad, and that it was a strength issue, so she had us practice haunches in to the left. This exercise engaged the outside hide, and therefore built the strength she needed to properly canter to the left. 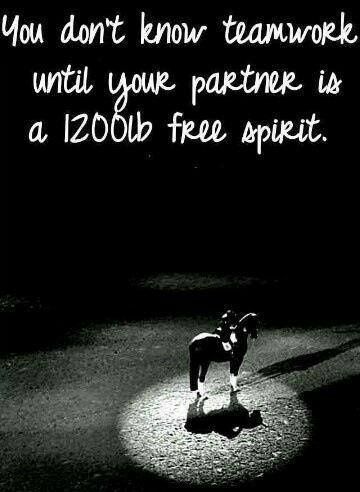 I like to look at Dressage as a big puzzle, and the only way you can figure out the answer is to listen to the horse, and find a way to solve a problem that benefits the horse. This entry was posted in Uncategorized and tagged Dressage, Dressage Training, Empathic Listening, Harrington Dressage, Horse communication, Horse Listening, Horses, Horses teach us how to live, Jillian Michaels, Jillian Michaels Unlimited, John Wayne quote, Nicole Harrington, Understanding Other People's Stories. Bookmark the permalink.